There is a misconception going around the parenting world that education and learning doesn’t matter as much during the first few years of your child’s life. In actuality, this could not be further from the truth. In fact, the birth-to-three period is the fastest rate of brain development across the entire human life span, so early childhood education and baby stimulation matter very much. You should spend a lot of time and energy focusing on baby care needs during your child’s first few years of life. By stressing the importance of baby care needs in these early years, you’ll set your children up for the following years as they maneuver through their schooling career. Below are a few ways that you can help teach your infants and give them a chance for a successful future. It might feel a little strange at first because your baby won’t be able to answer you quite yet, but they will at least pickup how a typical conversation is structured. I the beginning, babies won’t be able to verbally communicate back to you, but by talking to your baby as much as possible, you’ll help them learn the ins and outs of a two-way conversation. That goo-goo gaga talk might seem like you’re being unproductive but your infant child will actually respond to those sounds. Babies typically tune in to high-pitched baby talk and can understand those sounds better than normal pitched words and phrases. As the months begin to pass you both by, you can gradually start to transition from the baby talk to using real words along with your baby talk sounds. Spend some time each day by turning off electronics and removing any immediate distractions in the area. After you set the environment, let your baby crawl around and explore the different aspects of the room. Doing this will improve infant stimulation and work out their curiosity muscles and you’ll get a better sense of what interests your child. 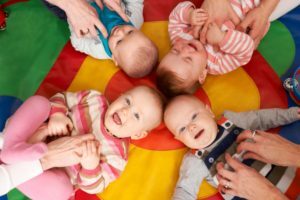 Make sure you’re having plenty of fun and paying attention to how your baby is learning during his or her first few years of life. If you want to learn more about baby care needs, contact Growing Room Child Development Centers today. A few decades ago, in 1975, more than half of all kids had a stay-at-home parent. Now, fewer than one-third of children today have a full-time, stay-at-home parent to care for them. Spending time with adults is an essential part of a toddler’s life. These kids can learn so much from parents, babysitters, and any other adult that is a part of their life. Since toddler learning is so important, early childhood education should continue outside the classroom. Here are a few fun activities you can do with your child that will help with toddler education and brain development. Go for a long nature walk — Going for a nature walk or an “adventure” can be a great bonding exercise for you and your toddler. Your child will begin to develop an appreciation for nature and their curiosity will take over almost immediately. Make sure you’re prepared with at least rudimentary knowledge of botany and nature, because your kid will surely ask a million questions during the walk. Just seeing all the wonders of nature in real life will help your toddler’s brain grow. 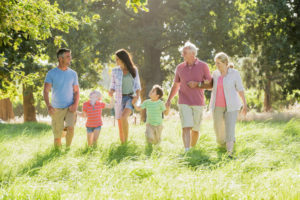 In addition to the education and bonding benefits going on long nature walks provide, these walks are also great for some much-needed physical activity. Bake something delicious together — Another fun activity you and your child can have that will contribute to toddler learning is making a mess in the kitchen. You can show them how to bake cookies and how much fun cookie cutters can be for kids (and adults). Make pancakes, fun cheesy meals, and anything else you want with your kid. Work on a creative art project — Arts and crafts can be great ways for your child to express themselves and let their creativity out. They might even develop a skill that they can take with them throughout their entire life. Finger painting, drawing, building blocks and any other art project can be a wonderful learning exercise for kids of all ages. Having fun with your kids doesn’t just have to be about making a mess. Your kids can learn a thing or two as well if you do the right activities. If you want to know more about toddler learning, contact Growing Room Child Development Centers today.